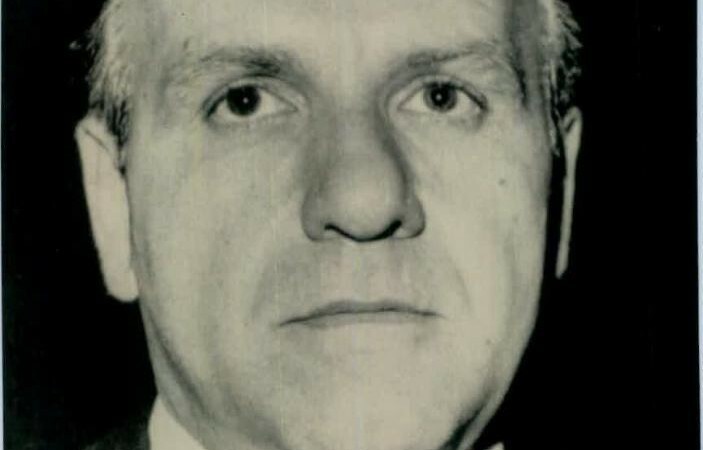 Deceased New Jersey-based Mafioso and Genovese crime family captain Anthony (Tony Pro) Provenzano was in Detroit the night before labor leader and mob associate Jimmy Hoffa disappeared and was slain 40 years ago this month, according to an imprisoned FBI informant who came forward in the mid-2000s. The informant, former Teamster insider Don Wells, claims Provenzano dined at a favorite mafia haunt with Motor City underworld figures on July 29, 1975. Some experts further speculate Tony Pro could have also been in Michigan the next afternoon when Hoffa vanished from a suburban Detroit restaurant parking lot on July 30, 1975, not where his alibi placed him, at his New Jersey Teamsters union hall playing cards. Then-Jersey Teamsters boss Provenzano was feuding with Hoffa at the time he went missing. Hoffa was in the midst of trying to regain his post as Teamsters International President and Tony Pro, an ally-turned-enemy of his, is still considered one of the top suspects in the notorious kidnapping and murder which hasn’t been solved to this very day. The bitter dispute between Tony Pro and Hoffa dated back to their days in prison together in the late 1960s, specifically a heated verbal altercation in the chow hall that turned physical. Hoffa was executed for ignoring the mafia’s repeated requests for him to give up his desire to take back the Teamsters Presidency he gave up in 1971 in order to get a pardon and released from prison early. Labor-union powers in the mob preferred Hoffa’s successor Frank Fitzsimmons and worried Hoffa was willing to sell them out to the government in order to get his one-time position atop the Teamsters back in his grasp. Hoffa’s rise in the notoriously-corrupt truckers union paralleled the infiltration of the Teamsters by organized crime. The words Hoffa, Teamsters and mafia would become virtually synonymous. The afternoon Hoffa disappeared he was on his way to a purported sit-down with Provenzano and steely-eyed Detroit mafia street boss Anthony (Tony Jack) Giacalone. 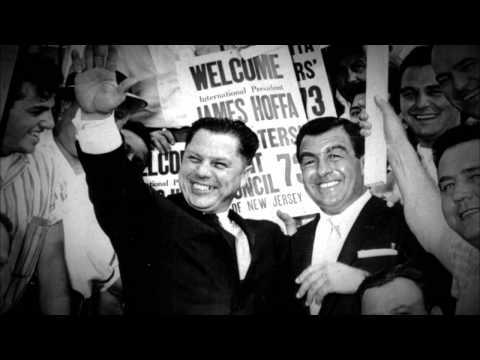 Tony Jack was Tony Pro’s cousin via marriage, Hoffa’s longtime contact in his hometown’s Italian mob and the man that was supposedly trying to broker a peace accord, something Hoffa needed to do if he wanted to win a future union presidential election. Giacalone was the person allegedly assigned to arrange all the particulars in the high-profile slaying. He told Hoffa to meet him, Tony Pro and a well-liked labor consultant and mutual business associate of theirs named Leonard (Little Lenny) Schultz, at the Machus Red Fox Restaurant in Bloomfield Township, Michigan at 2:00 on July 30, 1975. It was a setup. Giacalone, Provenzano and Schultz never showed and Hoffa was nabbed in the parking lot, probably in Tony Jack’s son’s car and murdered minutes later. His body or remains were never found. Not a single arrest has ever been made. 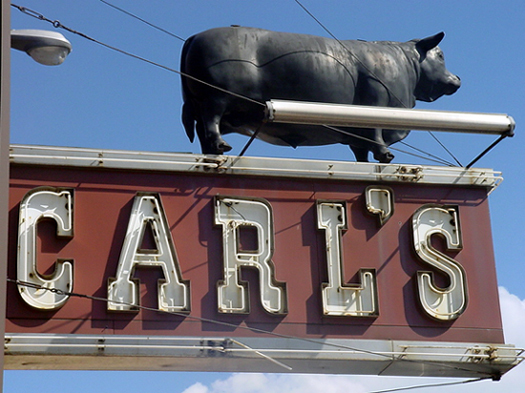 Per Don Wells, he had dinner with Giacalone and Provenzano, as well as a number of additional suspects in the Hoffa investigation, on the evening of July 29, 1975 at Carl’s Chop House, a popular Detroit steakhouse and underworld gathering spot, and references were made to the forthcoming assassination (news first broken by No. 1 “Hoffaologist” and award-winning author Dan Moldea). Wells was close to Teamsters enforcer and mob associate Rolland (Big Mac) McMaster – another suspect in the Hoffa case – and divulged details of what he knew about the Hoffa hit in 2005 debriefing with the FBI while he was incarcerated on drug charges. After passing a lie-detector exam, the feds acted on intelligence gleaned from Wells and dug up the Hidden Dreams Ranch in Wixom, Michigan, property owned by McMaster when Hoffa was killed, in search of Hoffa’s remains to no avail in the spring of 2006. While Tony Jack and Tony Pro sat at one table, Wells, McMaster and two of McMaster’s most trusted strong arms Jim Shaw and Larry McHenry sat nearby at another. Wells recounted for authorities an exchange towards the end of the dinner where Provenzano came over to where they were all sitting and pounded the table with his fist in excitement, exclaiming “Tomorrow’s going to be a great day, gentlemen!” Tony Pro turned to Shaw and McHenry and asked, “We’re all good, right?” before requesting to speak to McMaster alone outside. At that point, McMaster, Shaw and McHenry were at the forefront of a strategic intimidation plot funded by the Teamsters brass and geared solely to disrupt Hoffa’s relentless campaign to recapture the union presidency. The trio was behind multiple acts of violence against Hoffa and Hoffa loyalists in the months leading up to his slaying. The FBI views them as suspects in the execution’s clean-up and the disposal of Hoffa’s body. All three are currently deceased. McMaster died at 94 in 2007. The day after the meal at Carl’s, while they were supposed to be having lunch with Hoffa at the Red Fox, Tony Giacalone and Lenny Schultz were firmly planted at Tony Jack’s Southfield Athletic Club headquarters (owned by Schultz) five miles away and Tony Provenzano is said to have been at his own headquarters in New Jersey playing cards with members of his crew. Giacalone’s alibi is airtight. Provenzano’s isn’t. More than a dozen people, many of them who didn’t know him personally, confirmed Tony Jack’s alibi. Tony Pro’s story of being at his union hall engaging in an afternoon of gin rummy could only be verified by close associates and lieutenants of his in the mob – in other words people with a reason to lie for him. One retired FBI agent thinks Provenzano easily might have been in the Metro Detroit area the day Jimmy Hoffa was wacked. Whether Tony Pro was in Michigan the day Hoffa was banged out or not, members of his and Tony Jack’s crew became the prime suspects in the case. When it came to Provenzano, the Briguglio brothers (Sal & Gabe) and the Andretta brothers (Stevie & Tommy) were lofty on the government’s list of targets. When it came to Giacalone, it was his younger brother Vito (Billy Jack) Giacalone and old-time wiseguys, Raffalle (Jimmy Q) Quasarano and Peter (Bozzi) Vitale – all capos at the time in the Detroit crime family), along with McMaster and his two thug henchmen (McHenry & Shaw) who got mentioned the most in internal investigation memos as Tony Jack’s “on-the-ground” representatives in the perfectly-orchestrated assassination. 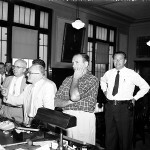 All of the aforementioned men were called in front of a grand jury, a majority of them invoking their fifth-amendment right against self-incrimination and refusing to say a word. Tony Jack avoided being busted in the Hoffa case, however, he wouldn’t be so lucky a few years later in an extortion case involving Tony Pro’s relatives in Saginaw, Michigan, a working-class city 60 miles north of Detroit and a town the mob had infiltrated back in the Prohibition Era. From the late 1920s until his death of natural causes in 1970, Giacomo (Big Jack) Provenzano, Tony Pro’s first cousin and Tony Jack’s father-in-law, ran the rackets in Saginaw for the Detroit mafia as a satellite franchise, kicking up to the bosses in the Motor City, but pretty much allowed to do his own thing. After Big Jack died, the reins of the crew fell to Big Jack’s young grandson, William (Billy Lee) Loiacano, who was also Tony Jack’s nephew. If Billy Lee ran into trouble in his neck of the woods, he’d frequently turn to his uncle in Detroit for help. As was the case in 1976 when Loiacano and a contractor he hired to build a restaurant he would headquarter out of (The Pasta House) got into a beef over $10,000 and reached out to Tony Jack for aid in collecting. Giacalone made a trip to the contractor’s apartment and demanded $250,000 to remove the murder contract he had put on his head. Tony Jack, Loiacano and his whole crew went down in a 1978 CCE (continuing criminal enterprise) indictment. In addition to a tax evasion conviction he took two years prior, Tony Jack was sent to prison on a 10-year bid of which he did seven. 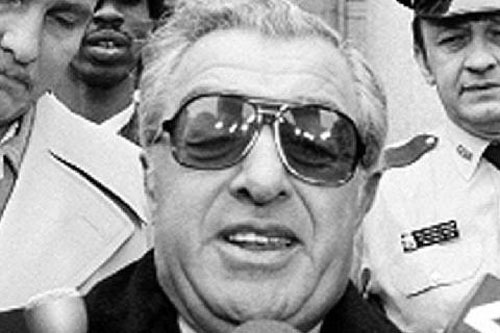 Released in the winter of 1986, Giacalone remained in his role as day-to-day overseer of affairs in the Detroit mob until the day he died of kidney failure in 2001. Little Lenny Schultz, a Jewish hoodlum tracing his underworld roots to the last remnants of the iconic Purple Gang, was nailed in a drug case in the 1980s and did to close to five years in prison prior to retiring to Florida and dying at the ripe old age of 93 in the fall of 2013. Tony Provenzano had his own legal problems to deal with in the aftermath of the Hoffa hit. 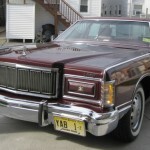 The same year Giacalone and his little cousin Billy Lee Loiacano took the racketeering pinch in Saginaw, Tony Pro was going on trial for murder and racketeering charges stemming from his running of his New Jersey Teamsters Local 560 (actually two trials, the case was split between jurisdictions in New York and Jersey and twin state and federal assaults). Tony Pro was convicted on the RICO (the first-time ever law was applied to a federal OC defendant, an obvious sign of things to come) and of ordering the execution of a union rival years before. Provenzano had two of his enforcers, “Sally Bugs” Briguglio and Harry (K.O.) Koenigsberg head a hit team in killing aspiring labor leader and Jersey Docks mobster Anthony (Tony Three Fingers) Castellito. Sally Bugs, K.O., and two other men beat and strangled Castellito to death at a fishing cottage in rural New York state in 1961. Briguglio, Tony Pro’s longtime right-hand man, was slain gangland style himself in 1978 in the weeks before his trial was scheduled to begin. Many believe Sally Bugs was the shooter in the Hoffa murder. Prior to the unrest between them arising, Tony Pro and Hoffa had actually been extremely close friends (see this story’s feature image). Upon Hoffa assuming the International Teamsters Presidency in 1957, Provenzano’s star began to rise. The following year, with Hoffa’s muscle behind him, Tony Pro grabbed control of Local 560 in Union City, New Jersey. He soon became the most powerful labor union boss on the east coast. His and Hoffa’s relationship began to deteriorate while both served prison sentences at Lewisburg Federal Penitentiary in the late 1960s, housed together in a branch of the facility dubbed “Mafia Manor,” and portrayed in the movie Goodfellas. Hoffa was behind bars for bribery, jury tampering and fraud, Tony Pro for extortion. Things started out like it was on the outside and Hoffa and Provenzano were buddy-buddy, eating, socializing and exercising together on the yard. That was until Tony Pro was made aware of union insurance benefits Hoffa and his family were receiving that he and his family were not. This revelation caused significant tension and Hoffa refused to remedy the situation, angering Provenzano to no end. The bad blood boiled over in 1969, in the months before Tony Pro was to be released. Sitting around with other mob luminaries at the Lewisburg chow hall, Provenzano made a dig to Hoffa about his unwillingness to fix his insurance benefits issue, resulting in Hoffa remarking loudly in response that it was “people like you,” that put him in prison in the first place. The barky retort sent Provenzano over the edge. He lunged at Hoffa and the two went at it, exchanging blows and hurling threats at one another that they were going to kill the other’s family. Tensions only ramped up when the equally ferocious pair hit the streets again in the 1970s: a peace conference at a Miami hotel arranged by Frank Fitzsimmons and a chance run-in at a lounge inside JFK Airport both turned physical and resulted in more threats, this time involving massacring each other’s grandkids. Hoffa soon realized though that he needed to mend fences with Provenzano if he wanted back into the Teamsters presidency, for Provenzano’s support brought with it the entire east coast voting block and the requisite delegates he needed to be able to recapture office in a future election. Tony Giacalone, a man quite adept at the murder trade being a suspect in sanctioning, ordering or personally carrying out upwards of 25 gangland homicides, came to the conclusion that the best way to lure the always-cautious Hoffa out into the open to be killed was to use Tony Pro as bait. 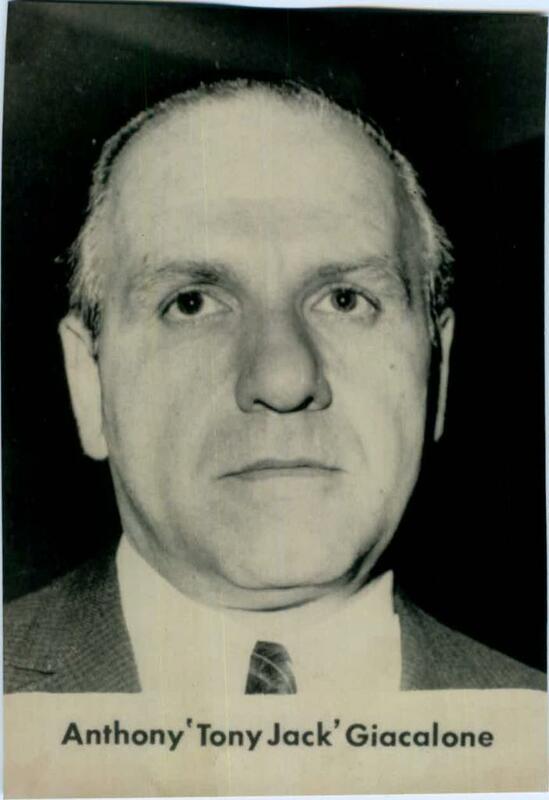 It worked and Hoffa came running, only to be cut down by Giacalone-and Provenzano-assembled assassin squad. Hoffa was finally declared dead in 1982. Tony Pro was felled by a heart attack in a California prison hospital in 1988 at 71 years old.